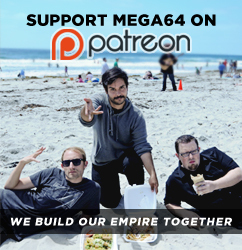 Welp, It's time for another edition of the Mega64 Podcast! In this episode: We talk about how we have spent all week trying to end all racism. We also, have a pretty INSANE Joker update and have you guys ever heard of a movie called Austin Powers? If not you should check this podcast out...if you have you should still check this podcast out. Click here for the audio! That's all for now, come back soon. I swear we are working on a ton of stuff!